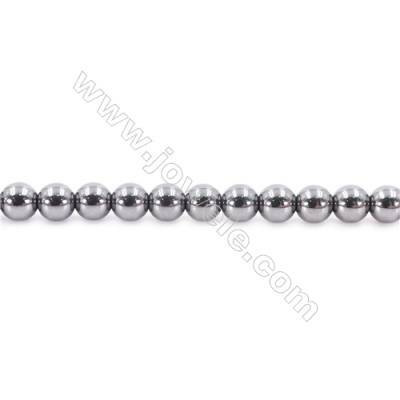 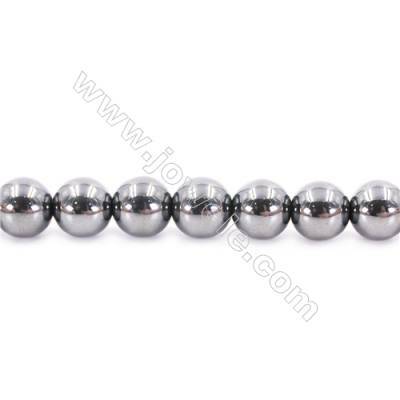 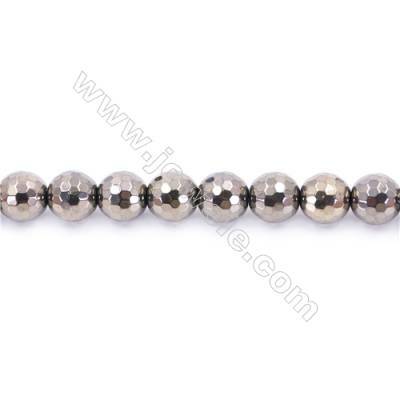 Hematite is a calming stone for the mind and a stone for success in legal disputes. 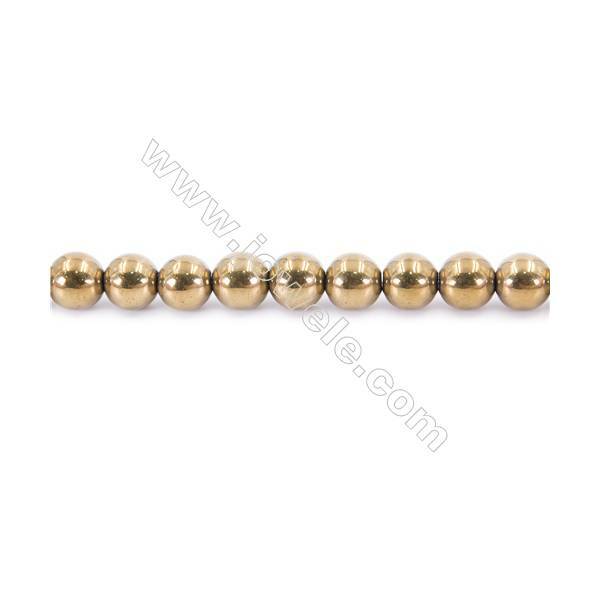 It is a memory enhancer and an aid to clarity of thought and control of stress.These magentic ones are also just fun to hold and play with to calm down after a stressful day. 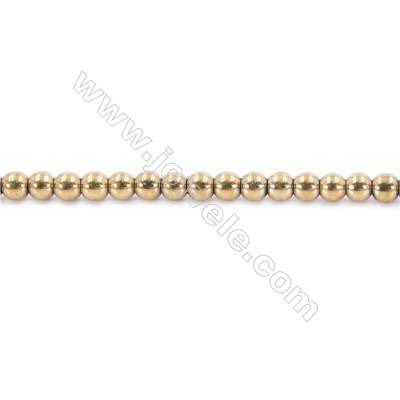 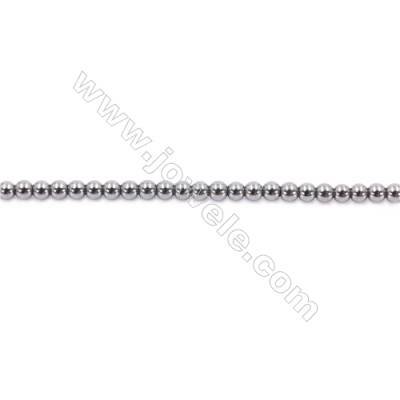 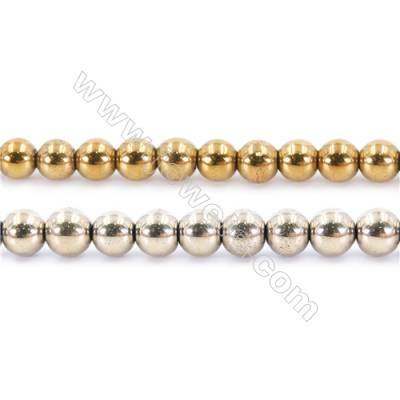 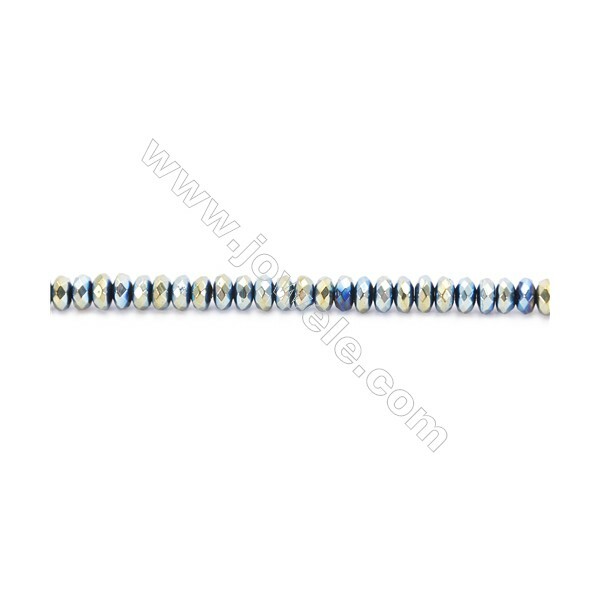 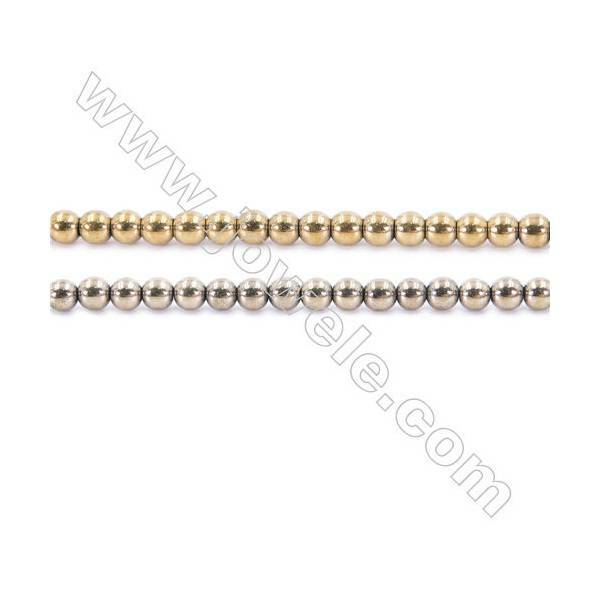 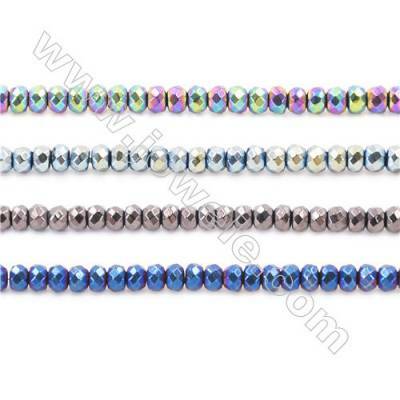 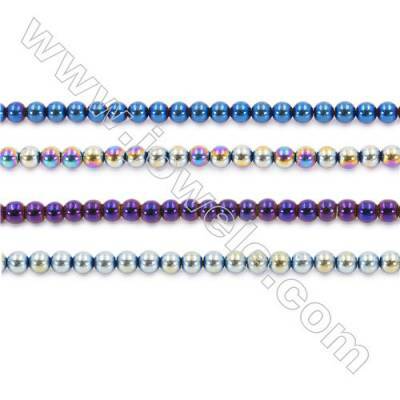 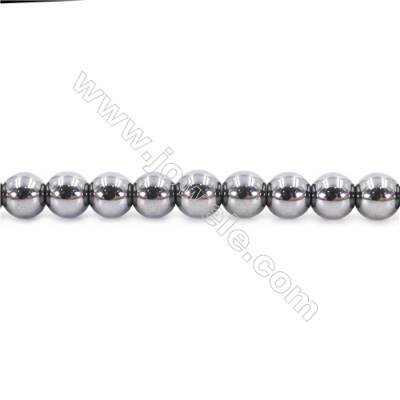 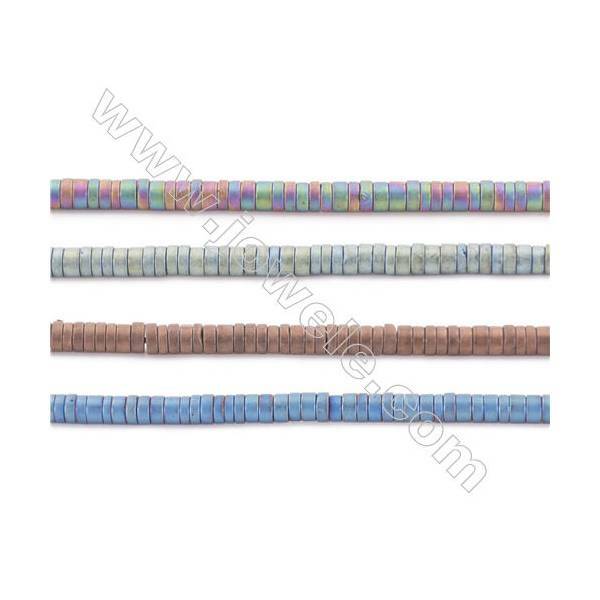 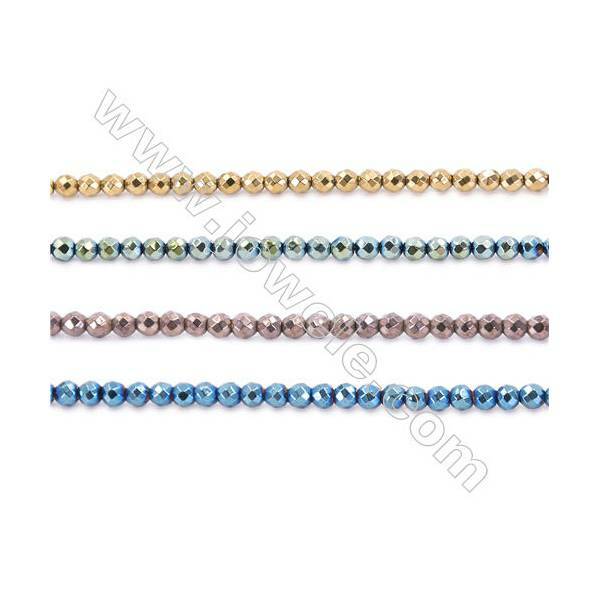 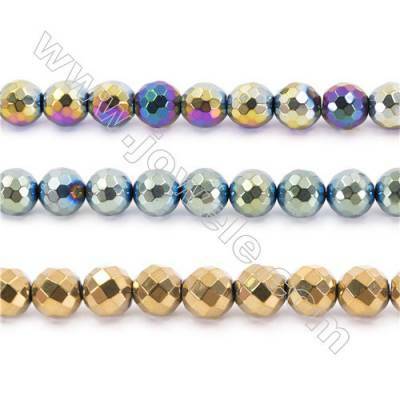 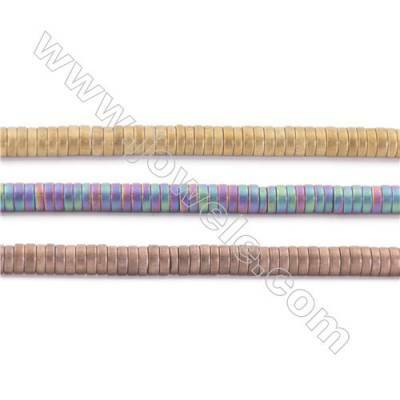 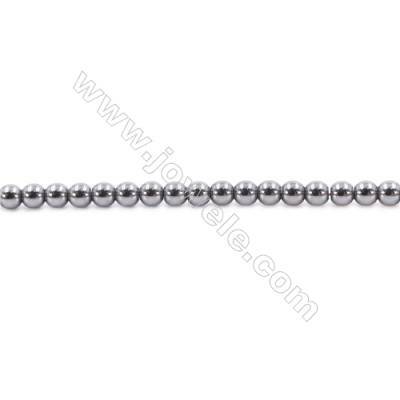 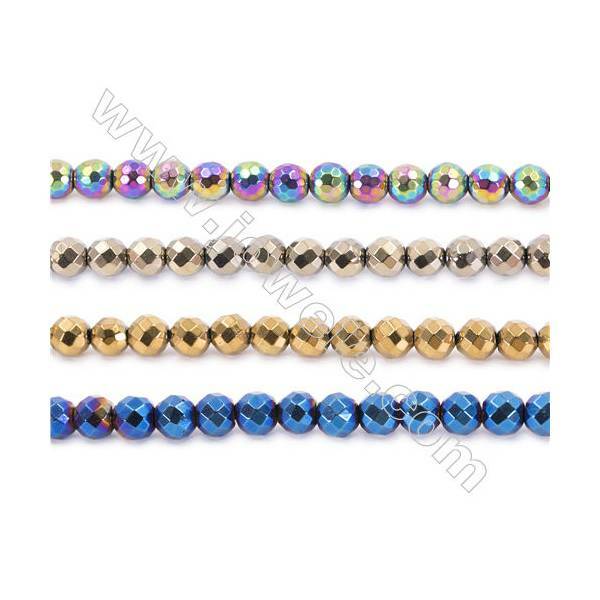 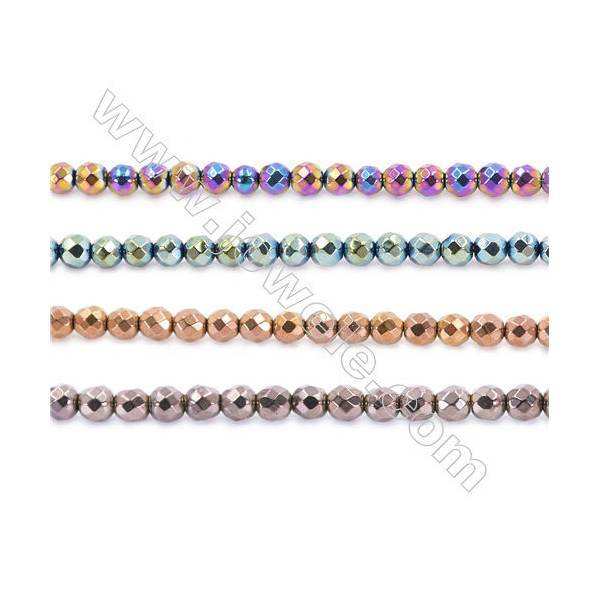 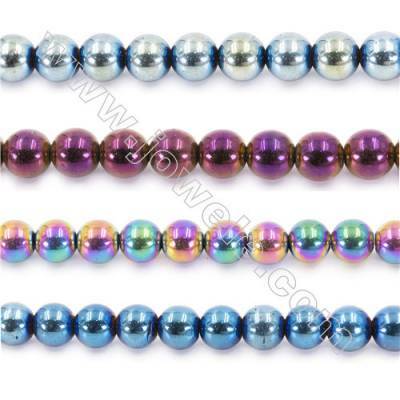 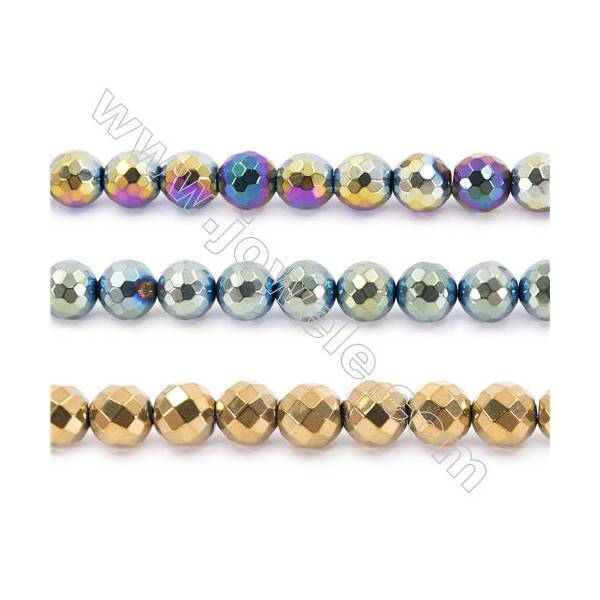 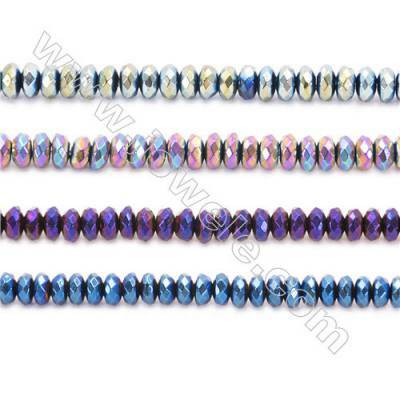 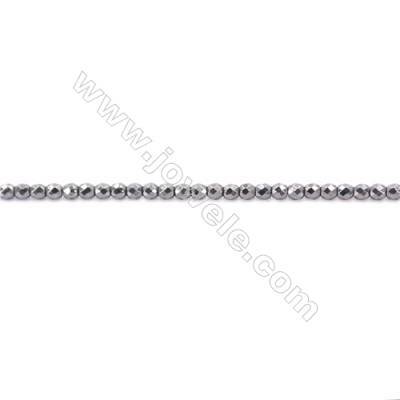 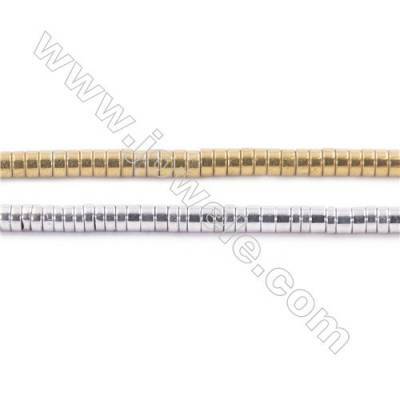 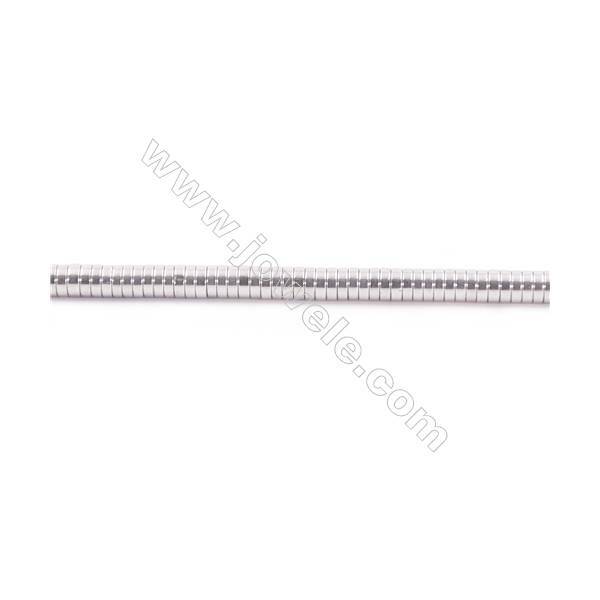 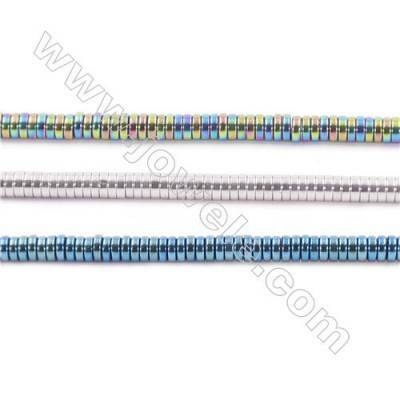 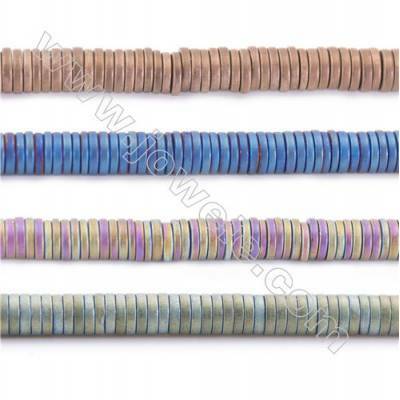 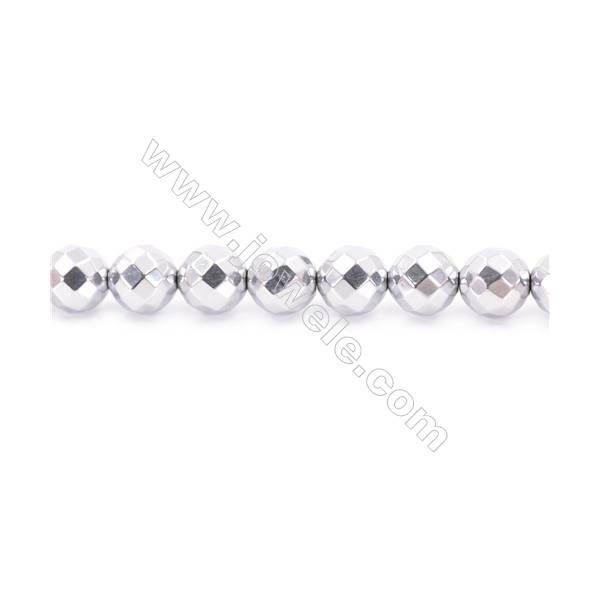 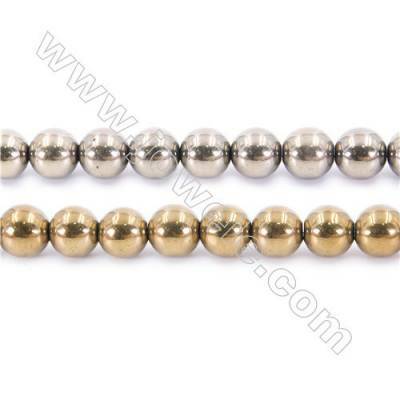 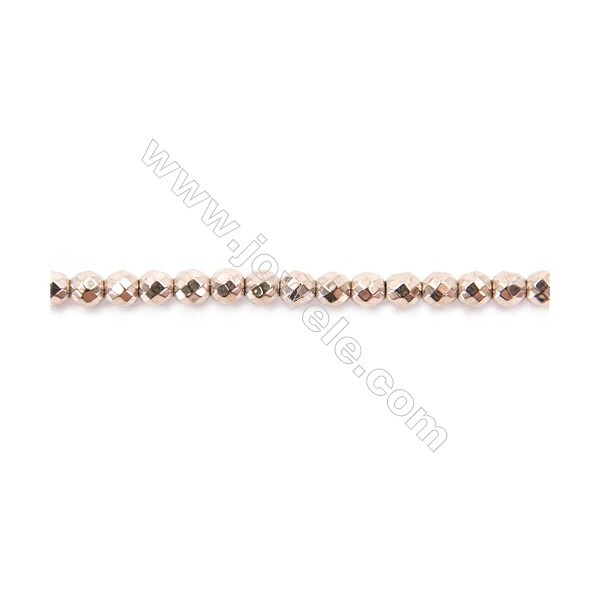 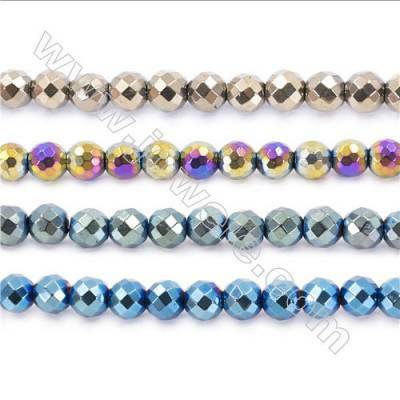 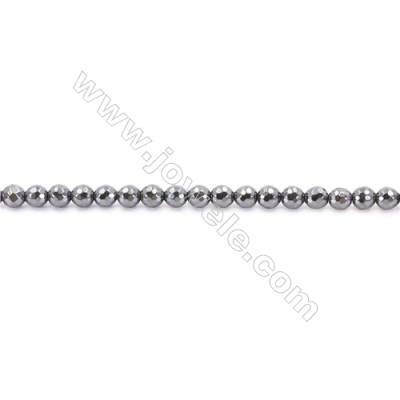 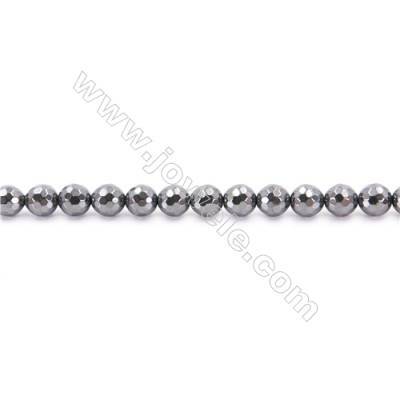 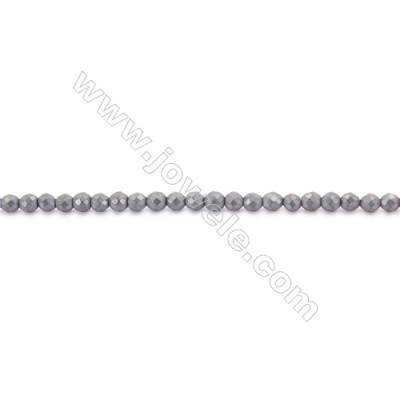 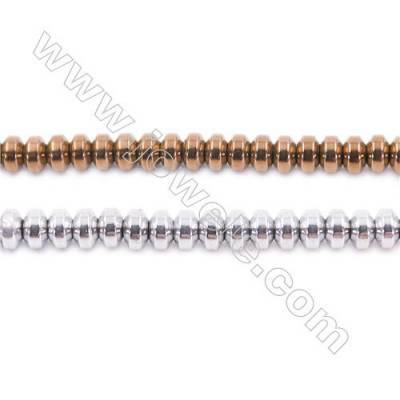 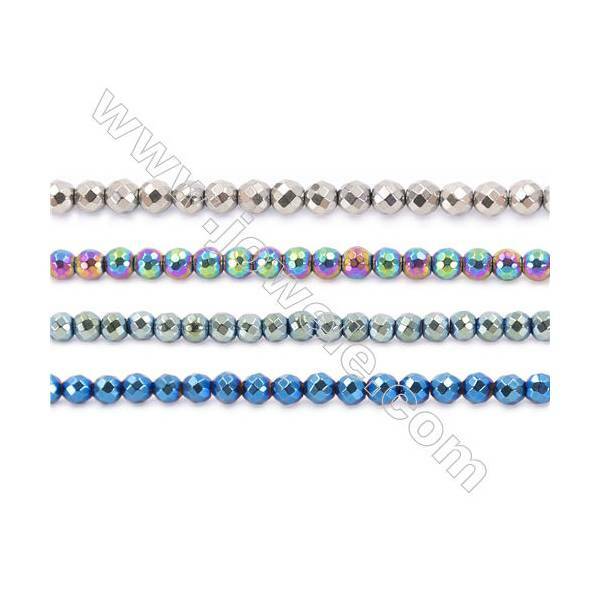 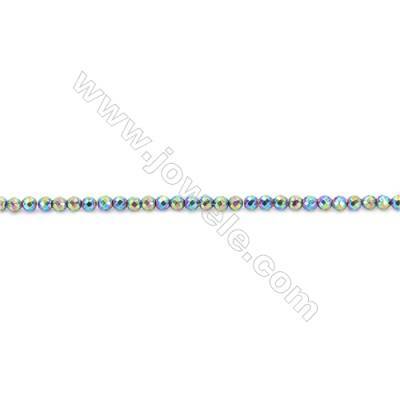 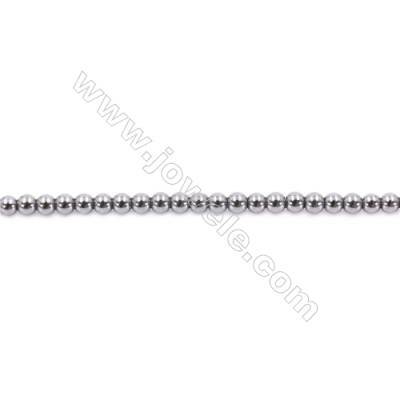 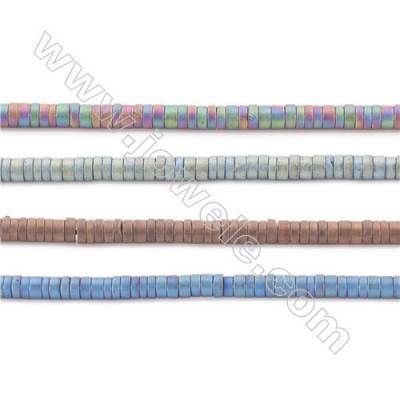 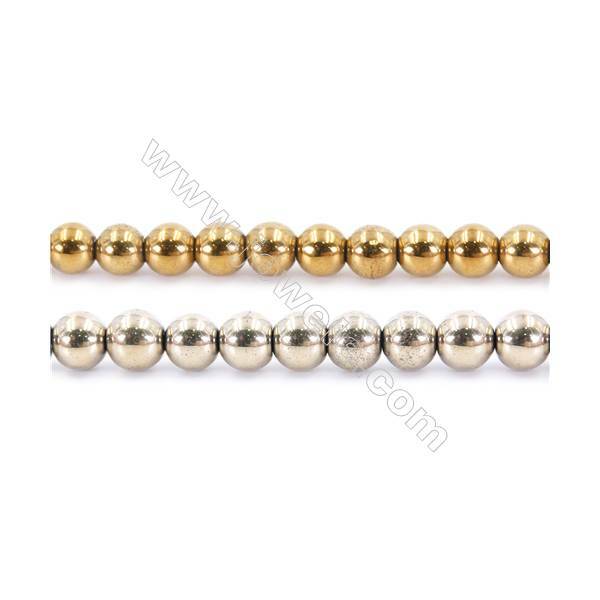 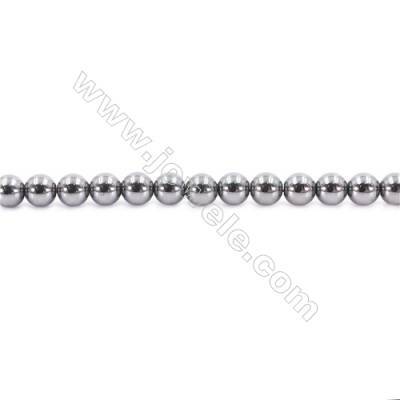 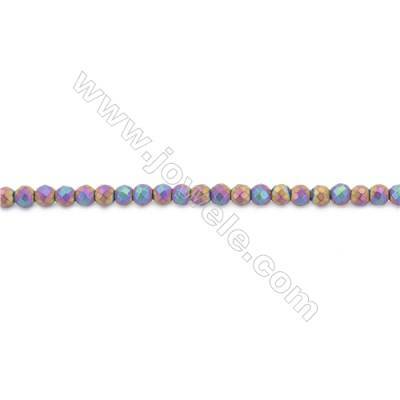 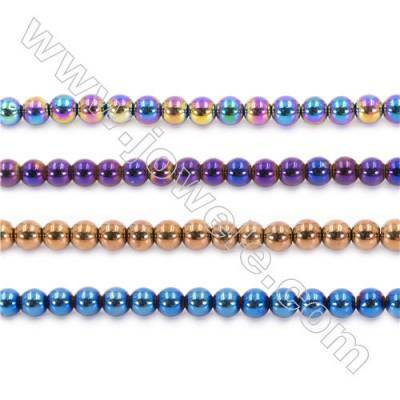 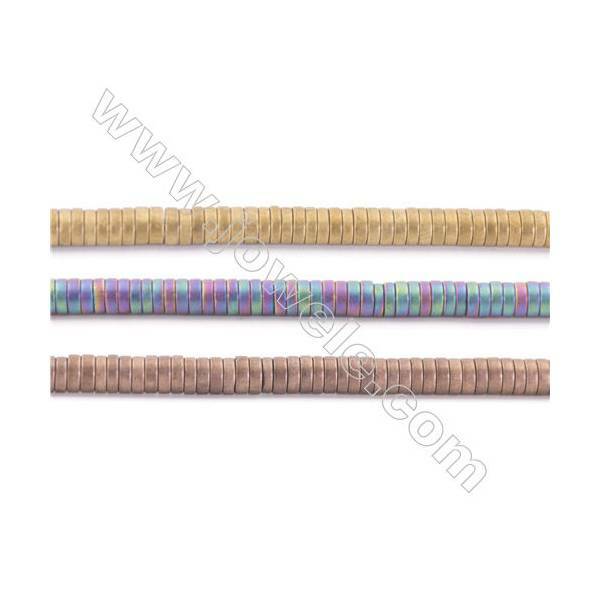 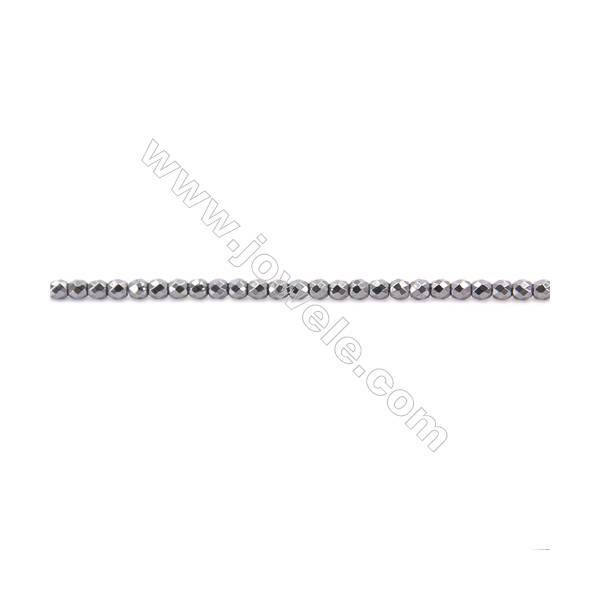 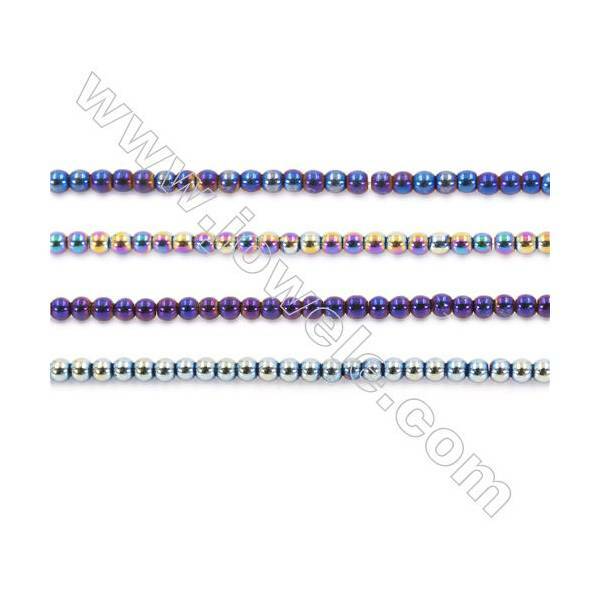 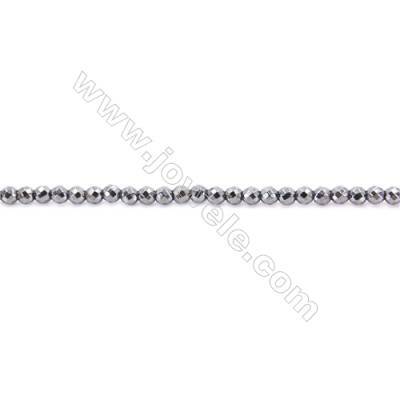 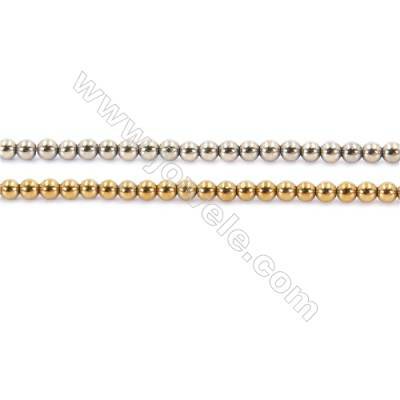 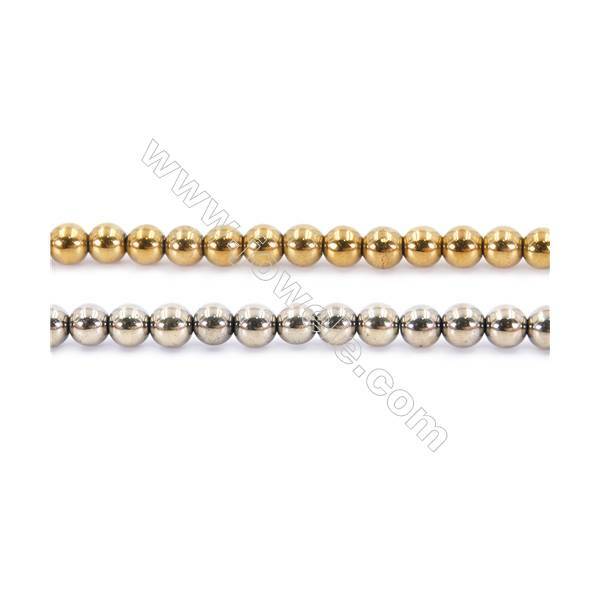 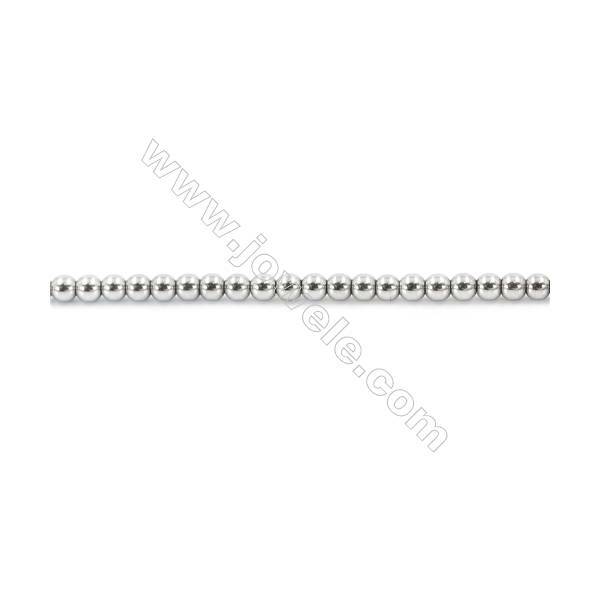 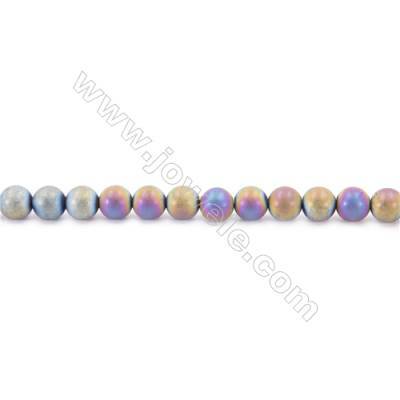 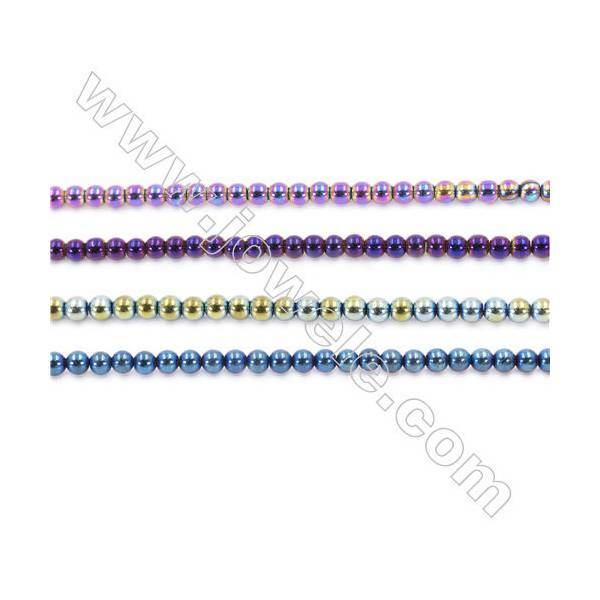 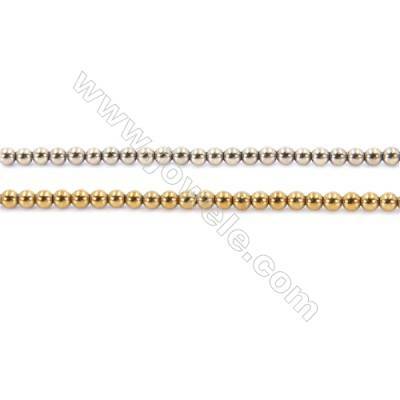 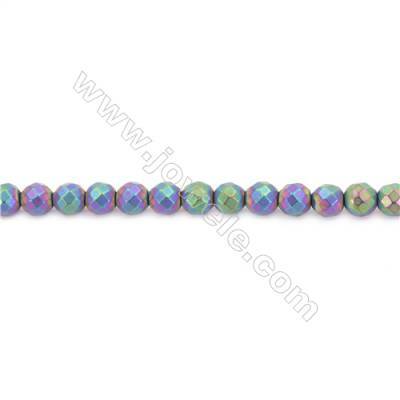 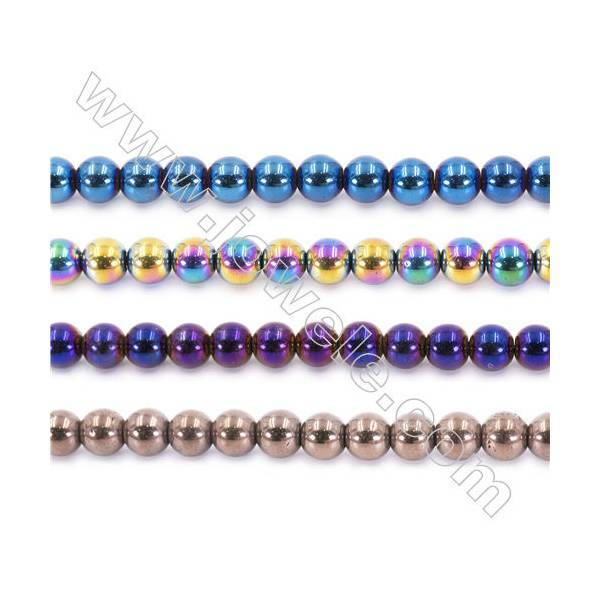 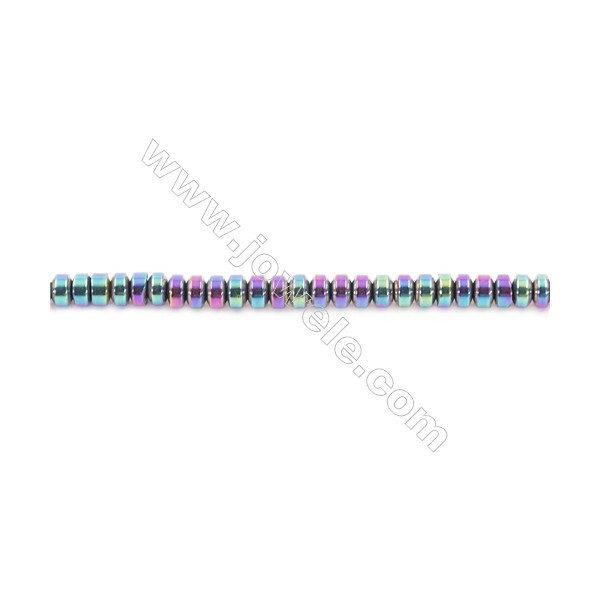 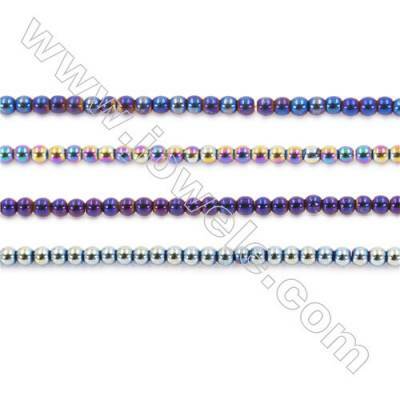 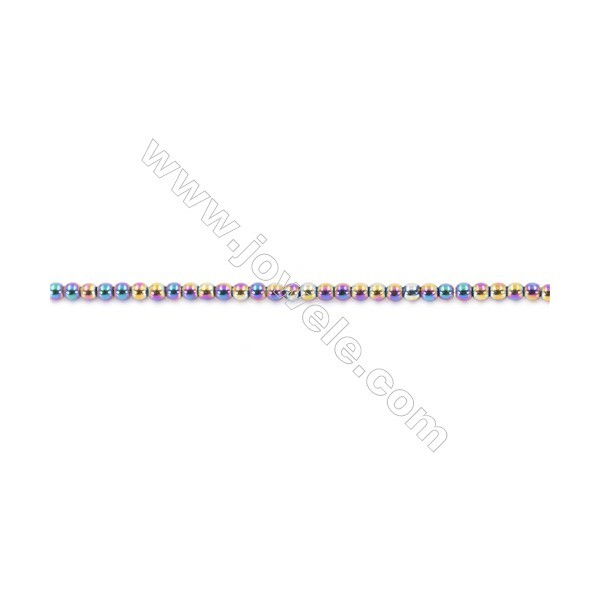 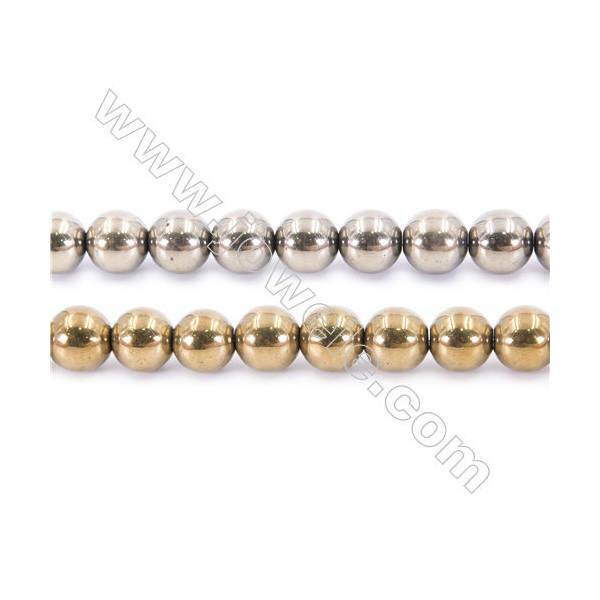 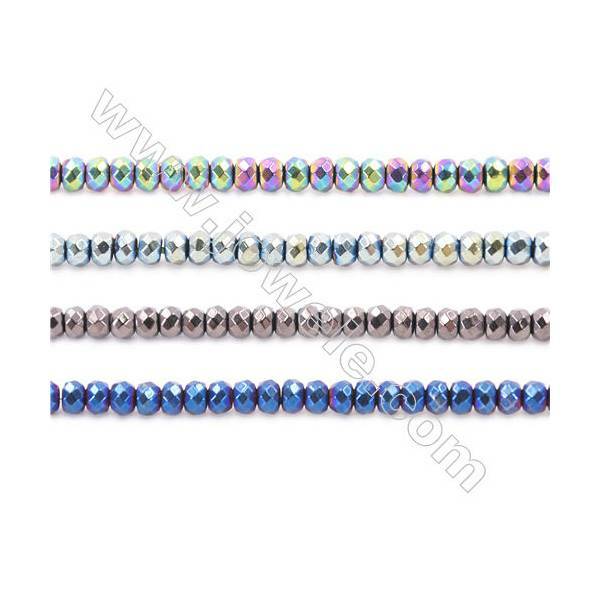 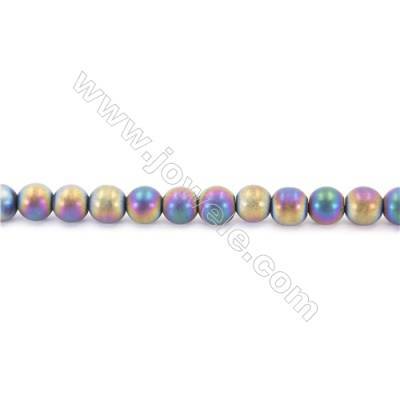 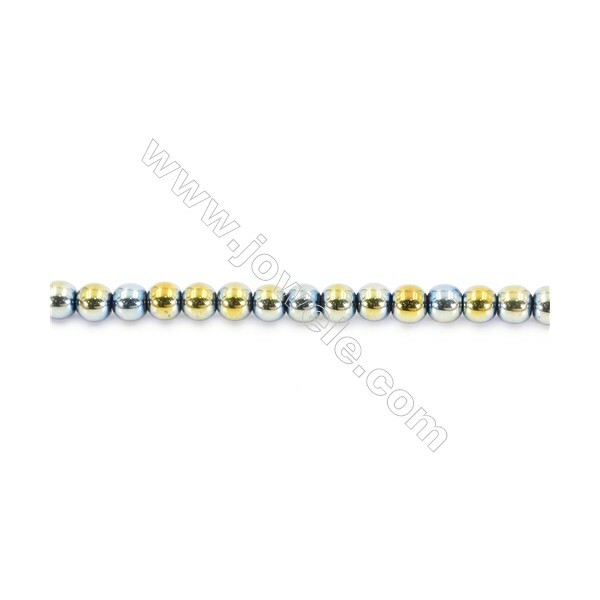 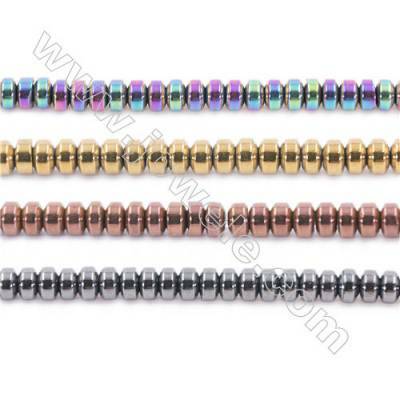 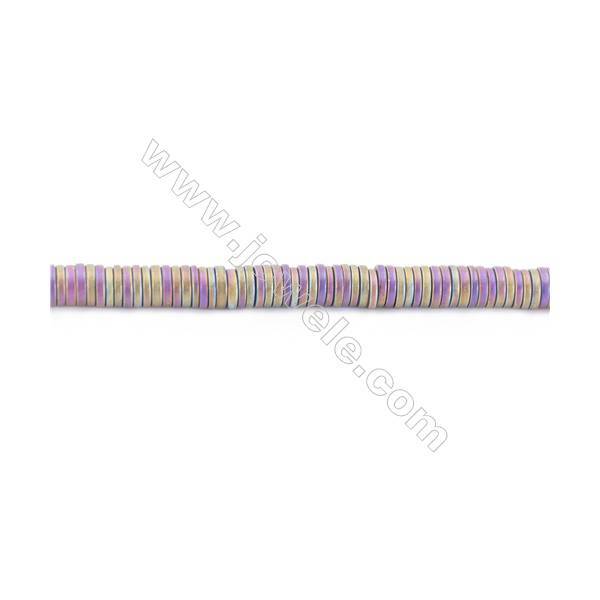 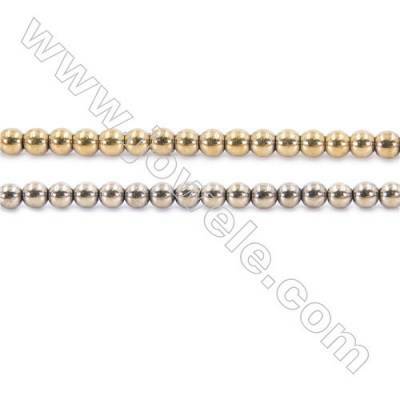 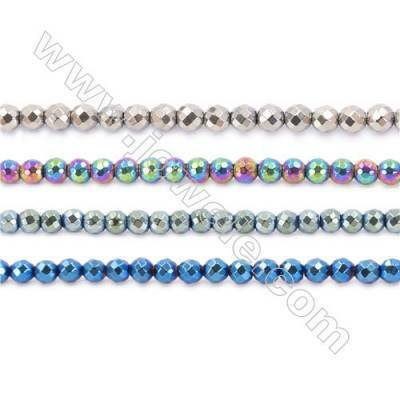 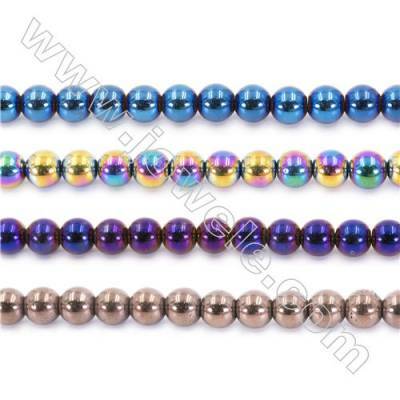 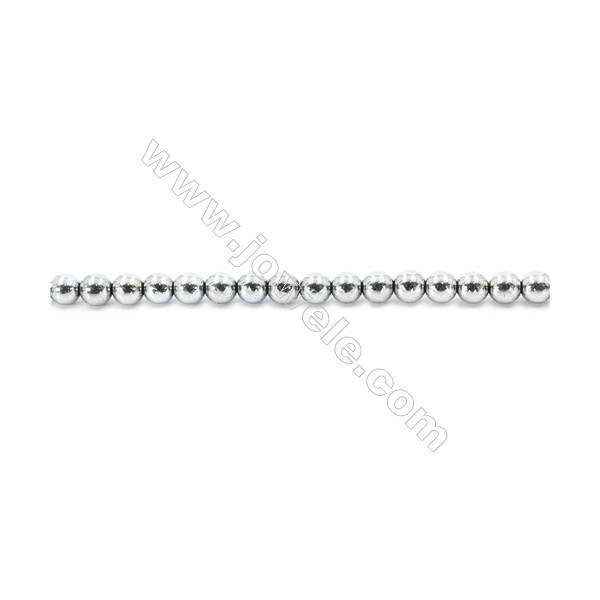 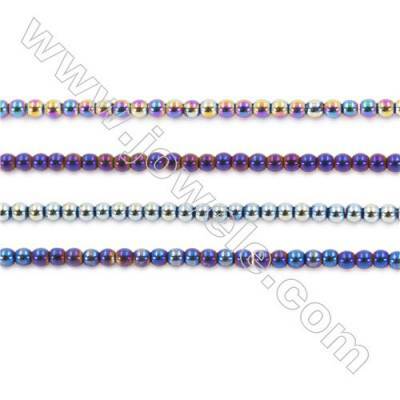 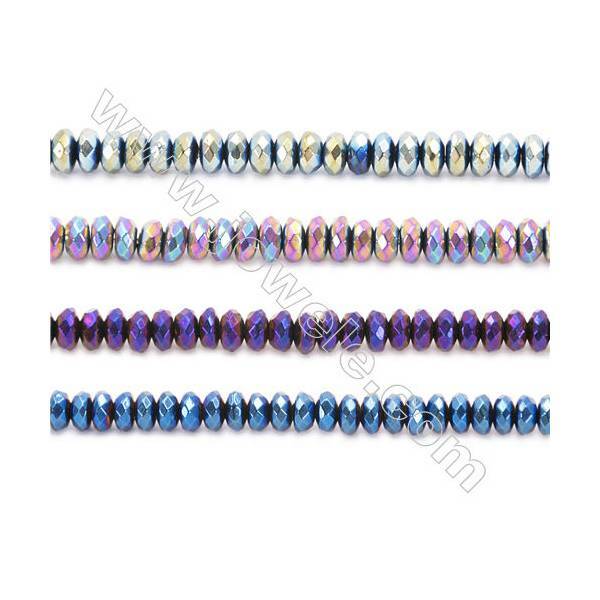 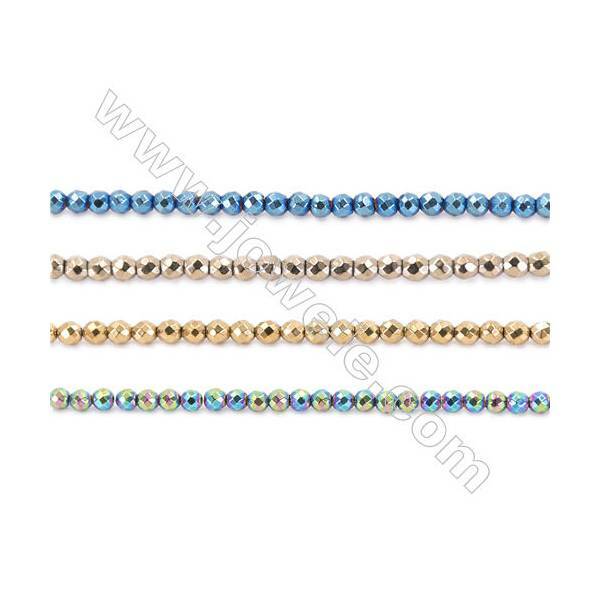 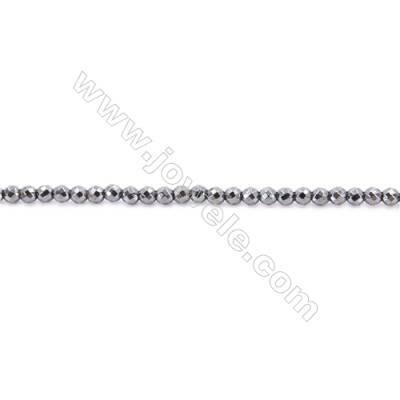 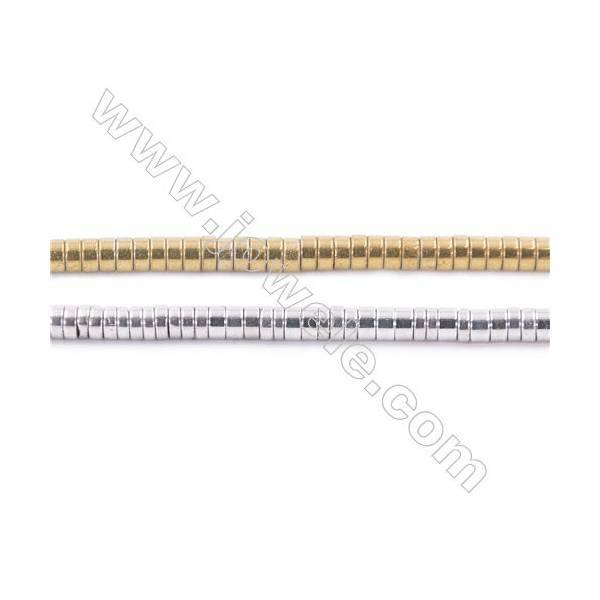 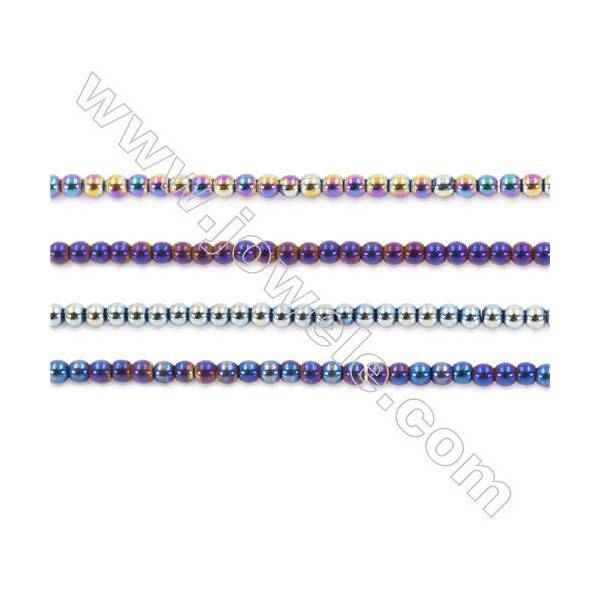 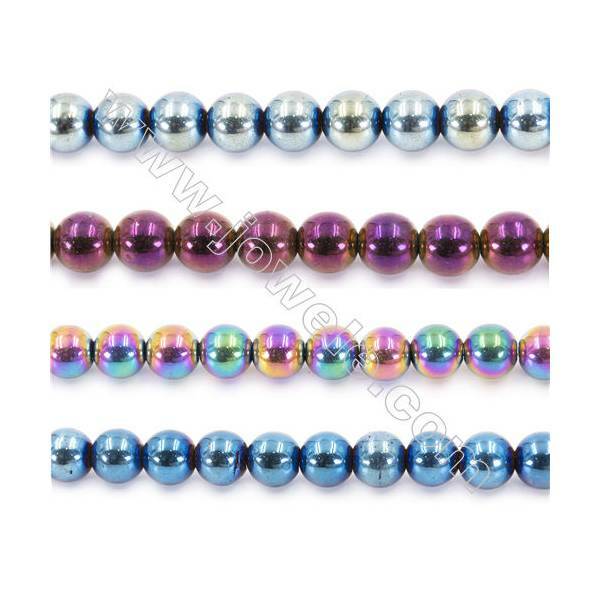 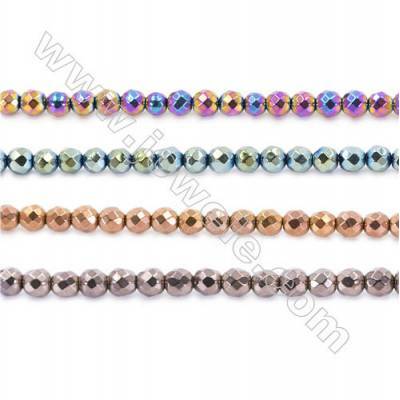 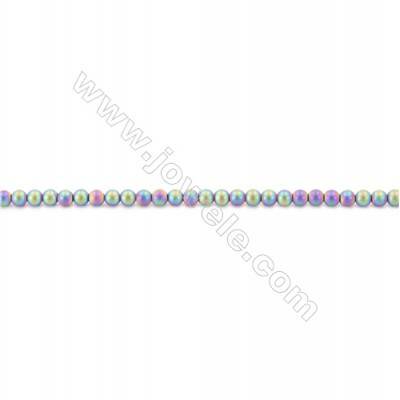 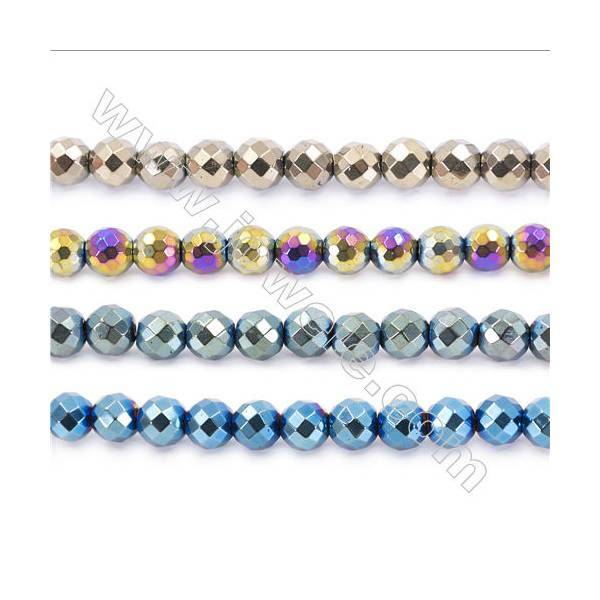 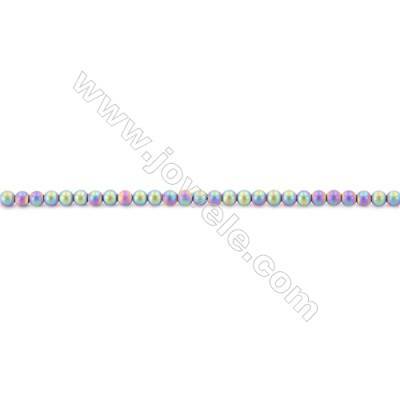 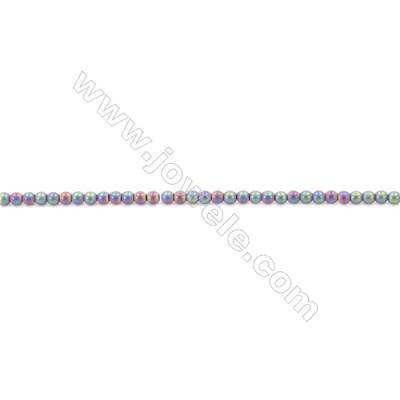 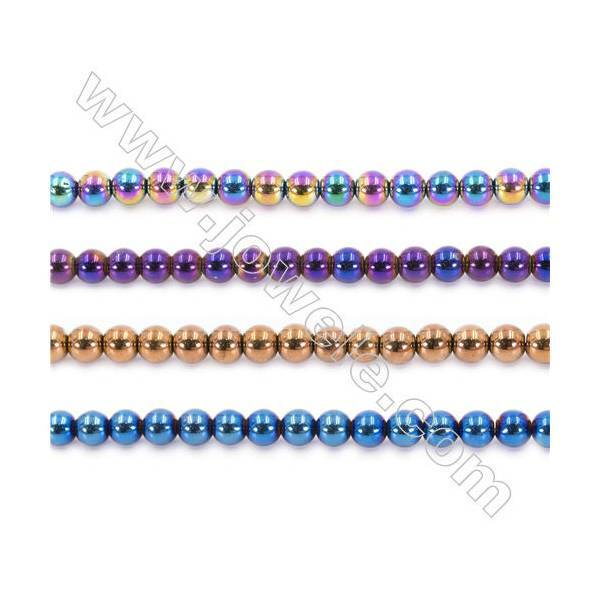 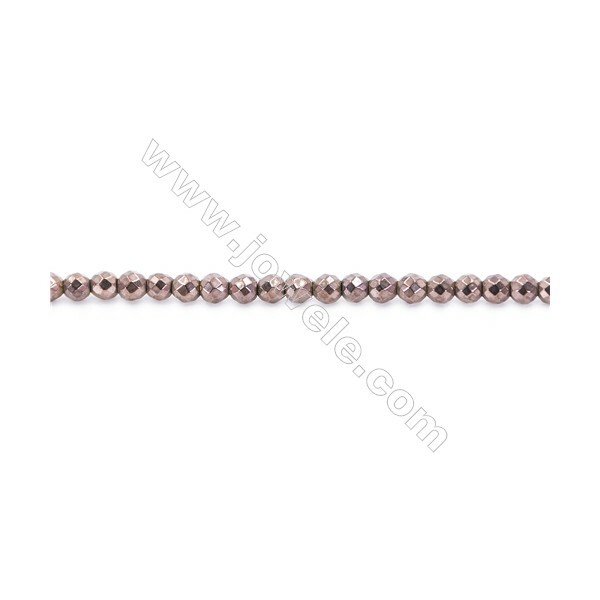 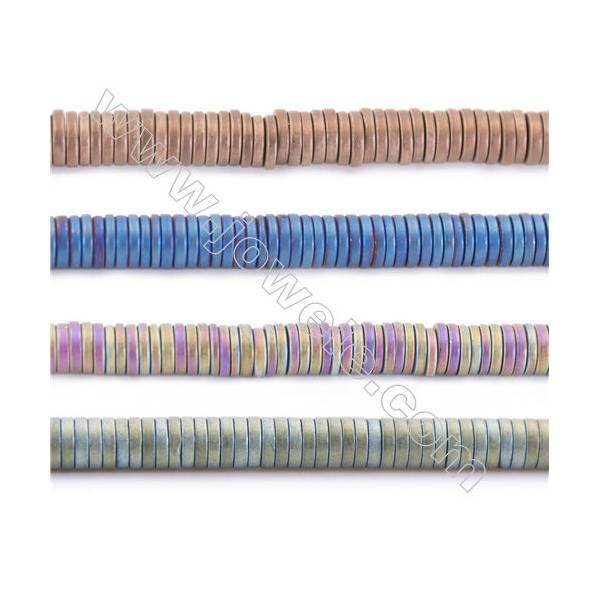 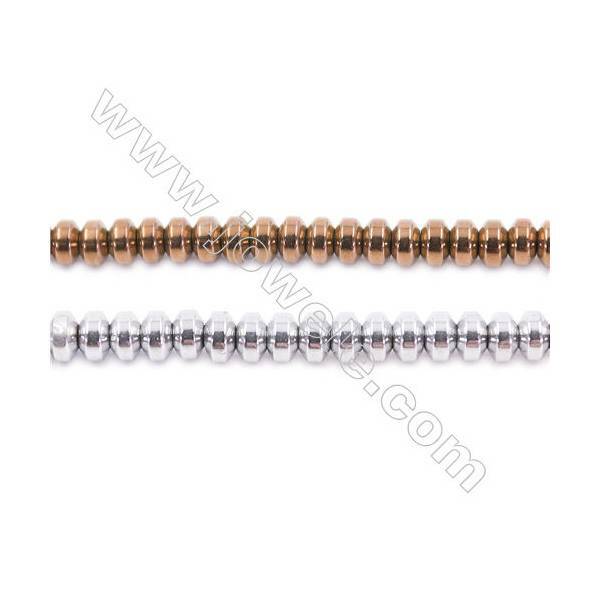 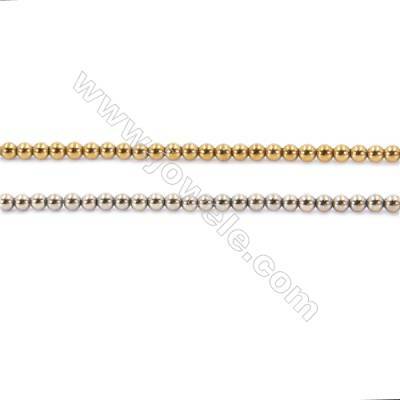 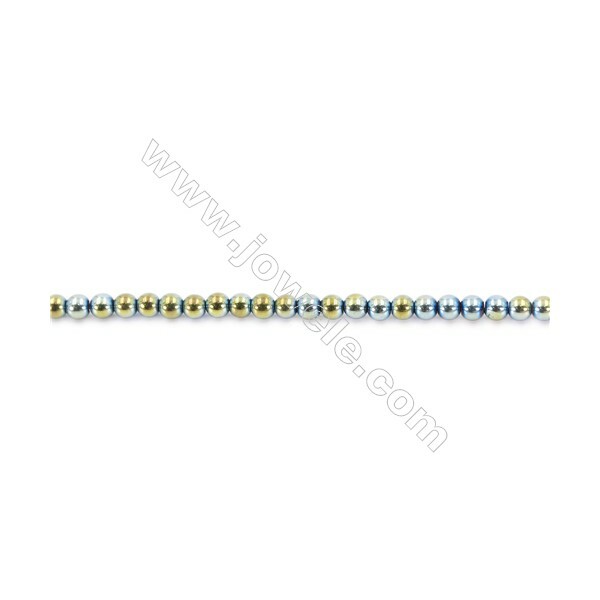 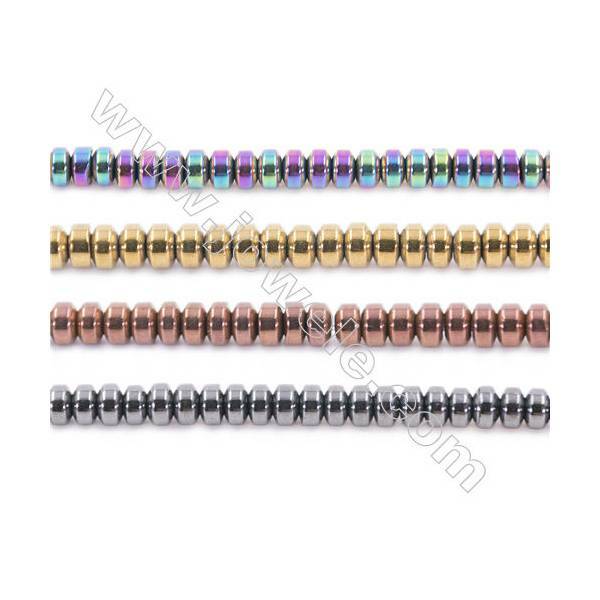 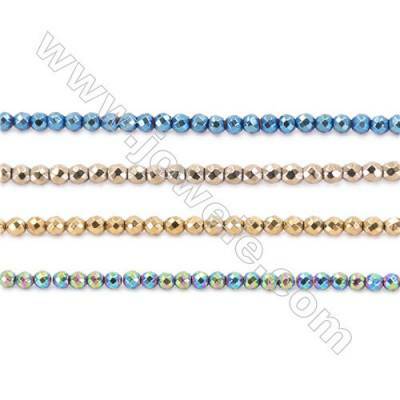 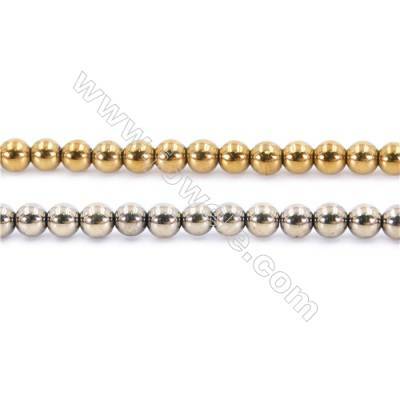 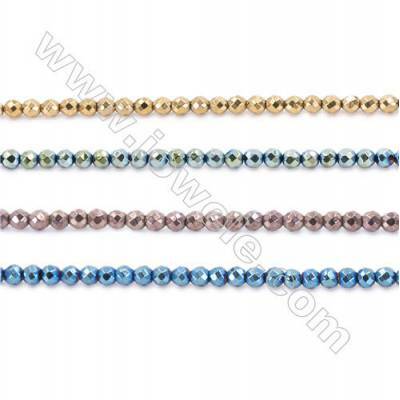 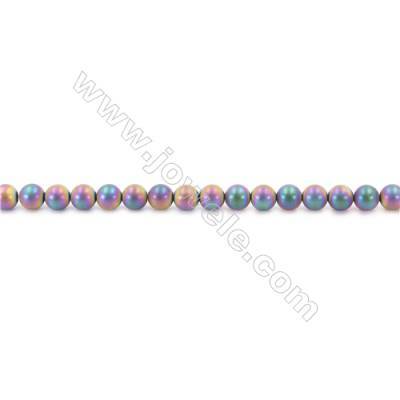 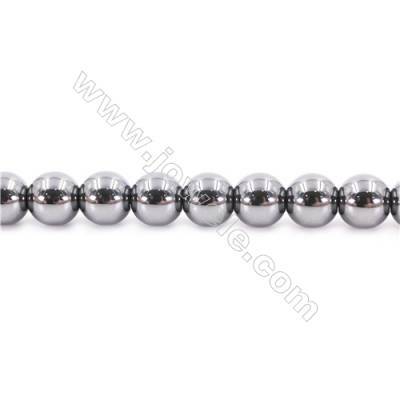 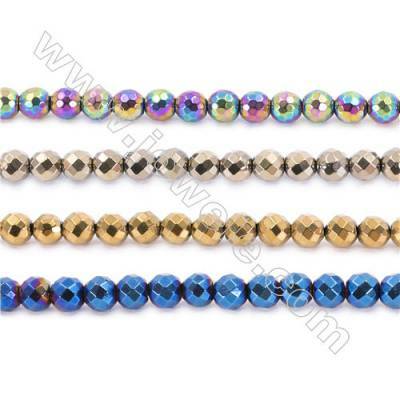 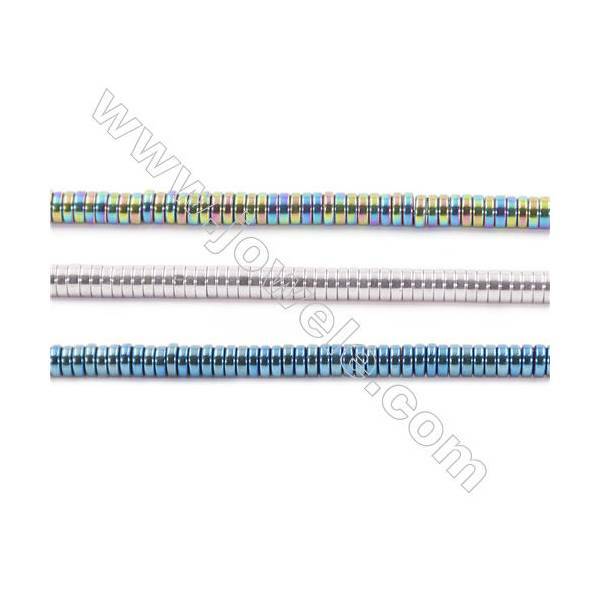 Faceted Natural Hematite Beads Strand, Round, diameter 2mm, hole 0.4mm, about 181 beads/strand, 15~16"
Multi-Color Plating Hematite Beads Strand, Round, Diameter 2mm, hole 1mm, about 200 beads/strand, 15~16"
Various Color Plating Hematite Beads Strand, Round, Diameter 2mm, hole 1mm, about 200 beads/strand, 15~16"
Multi-Color Plating Hematite Beads Strand, Round, Diameter 3mm, hole 1mm, about 135 beads/strand, 15~16"
Various Color Plating Hematite Beads Strand, Round, Diameter 3mm, hole 1mm, about 135 beads/strand, 15~16"
Multi-Color Plating Hematite Beads Strand, Round, Diameter 4mm, hole 1mm, about 100 beads/strand, 15~16"
Various Color Plating Hematite Beads Strand, Round, Diameter 4mm, hole 1mm, about 100 beads/strand, 15~16"
Golden Plating Hematite Beads Strand, Round, Diameter 5mm, hole 1mm, about 85 beads/strand, 15~16"
Multi-Color Plating Hematite Beads Strand, Round, Diameter 6mm, hole 1mm, about 67 beads/strand, 15~16"
Various Color Plating Hematite Beads Strand, Round, Diameter 6mm, hole 1.5mm, about 67 beads/strand, 15~16"
Multi-Color Plating Hematite Beads Strand, Round, Diameter 8mm, hole 1.5mm, about 50 beads/strand, 15~16"
Various Color Plating Hematite Beads Strand, Round, Diameter 8mm, hole 1.5mm, about 50 beads/strand,15~16"
Multi-Color Plating Hematite Beads Strand, Round, Diameter 10mm, hole 1.5mm, about 40 beads/strand, 15~16"
Faceted Hematite Beads Strand, Round, Diameter 2mm, hole 1mm, about 200 beads/strand, 15~16"
Various Color Plating Hematite Beads Strand, Round, Diameter 10mm, hole 1.5mm, about 40 beads/strand, 15~16"
Various Color Hematite Beads Strand, Faceted Round, Diameter 2mm, hole 1mm, about 200 beads/strand, 15~16"
Multi-color Plating Hematite Beads Strand, Round, Diameter 12mm, hole 1.5mm, about 34 beads/strand, 15~16"
Various Color Plating Hematite Beads Strand, Round, Diameter 12mm, hole 1.5mm, about 34 beads/strand, 15~16"
Faceted Hematite Beads Strand, Round, Diameter 3mm, hole 1mm, about 135 beads/strand, 15~16"
Various Color Hematite Beads Strand, Faceted Round, Diameter 3mm, hole 1mm, about 135 beads/strand, 15~16"
Multi-color Hematite Beads Strand, Faceted Round, Diameter 3mm, hole 1mm, about 135 beads/strand, 15~16"
Faceted Hematite Beads Strand, Round, Diameter 4mm, hole 1mm, about 100 beads/strand, 15~16"
Various Color Hematite Beads Strand, Faceted Round, Diameter 4mm, hole 1mm, about 100 beads/strand, 15~16"
Golden Plating Hematite Beads Strand, Faceted Round, Diameter 6mm, hole 1mm, about 67 beads/strand, 15~16"
Hematite Beads Strand, Faceted Round, Diameter 6mm, hole 1mm, about 67 beads/strand, 15~16"
Various Hematite Beads Strand, Faceted Round, Diameter 6mm, hole 1mm, about 67 beads/strand, 15~16"
Faceted Hematite Beads Strand, Round, Diameter 6mm, hole 1.5mm, about 67 beads/strand, 15~16"
Hematite Beads Strand, Faceted Round, Diameter 8mm, hole 1.5mm, about 50 beads/strand, 15~16"
Various Color Plated Hematite Beads Strand, Faceted Round, Diameter 8mm, hole 1.5mm, about 50 beads/strand, 15~16"
Various Color Plated Hematite Beads Strand, Faceted Round, Diameter 10mm, hole 1.5mm, about 40 beads/strand, 15~16"
Various Color Plated Hematite Beads Strand, Faceted Round, Diameter 12mm, hole 1.5mm, about 34 beads/strand, 15~16"
Light Gold Plated Hematite Beads Strand, Faceted Round, Diameter 12mm, hole 1.5mm, about 34 beads/strand, 15~16"
Frosted Rainbow Color Hematite Beads Strand, Round, Diameter 2mm, hole 1mm, about 200 beads/strand, 15~16"
Frosted Rainbow Color Hematite Beads Strand, Round, Diameter 3mm, hole 1mm, about 135 beads/strand, 15~16"
Frosted Rainbow Color Hematite Beads Strand, Round, Diameter 4mm, hole 1mm, about 100 beads/strand, 15~16"
Frosted Rainbow Color Hematite Beads Strand, Round, Diameter 6mm, hole 1mm, about 67 beads/strand, 15~16"
Frosted Rainbow Color Hematite Beads Strand, Round, Diameter 8mm, hole 1.5mm, about 50 beads/strand, 15~16"
Frosted Rainbow Color Hematite Beads Strand, Faceted Round, Diameter 10mm, hole 1.5mm, about 40 beads/strand, 15~16"
Frosted Rainbow Color Hematite Beads Strand, Faceted Round, Diameter 6mm, Hole 1mm, about 70 beads/strand 15~16"
Frosted Rainbow Color Hematite Beads Strand, Faceted Round, Diameter 8mm, Hole 1.5mm, about 50 beads/strand 15~16"
Frosted Hematite Beads Strand, Round, Diameter 12mm, Hole 1.5mm, about 34 beads/strand 15~16"
Hematite Beads Strand, Round, Diameter 2mm, Hole 1mm, about 200 beads/strand 15~16"
Bright Hematite Beads Strand, Round, Diameter 3mm, Hole 1mm, about 135 beads/strand, 15~16"
Bright Hematite Beads Strand, Round, Diameter 4mm, Hole 1mm, about 100 beads/strand 15~16"
Bright Hematite Beads Strand, Round, Diameter 5mm, Hole 1mm, about 80 beads/strand 15~16"
Bright Hematite Beads Strand, Round, Diameter 6mm, Hole 1mm, about 67 beads/strand 15~16"
Bright Hematite Beads Strand, Round, Diameter 8mm, Hole 1.5mm, about 50 beads/strand 15~16"
Bright Hematite Beads Strand, Round, Diameter 10mm, Hole 1.5mm, about 40 beads/strand 15~16"
Bright Hematite Beads Strand, Round, Diameter 12mm, Hole 1.5mm, about 34 beads/strand 15~16"
Frosted Hematite Beads Strand, Round, Diameter 3mm, Hole 1mm, about 138 beads/strand 15~16"
Various Colors Plated Hematite Beads Strand, Faceted Abacus, Size 3x2mm, Hole 1mm, about 200 beads/strand 15~16"
Various Colors Plated Hematite Beads Strand, Faceted Abacus, Size 4x2mm, Hole 1mm, about 200 beads/strand 15~16"
Different Colors Plated Hematite Beads Strand, Abacus, Size 4x2mm, Hole 1mm, about 200 beads/strand 15~16"
Various Colors Plated Hematite Beads Strand, Abacus, Size 3x2mm, Hole 1mm, about 200 beads/strand 15~16"
Silver Plated Hematite Beads Strand, Flat Round, Size 2x1mm, Hole 1mm, about 390 beads/strand 15~16"
Frosted Rainbow Color Plated Hematite Beads Strand, Flat Round, Size 2x1mm, Hole 1mm, about 390 beads/strand 15~16"
Frosted Rainbow Color Plated Hematite Beads Strand, Flat Round, Size 3x1mm, Hole 1mm, about 390 beads/strand 15~16"
Colorful Plated Hematite Beads Strand, Flat Round, Size 3x1mm, Hole 1mm, about 390 beads/strand 15~16"
Various Colors Plated Frosted Hematite Beads Strand, Flat Round, Size 4x1mm, Hole 1mm, about 390 beads/strand 15~16"